HONG KONG — Chinese tech giant Huawei won a patent infringement lawsuit against South Korea smartphone rival Samsung on Thursday, according to information released by a Chinese court. The court ruled in the Chinese company's favor over two patents involving fourth generation phone technology, according to a notice released through the court's WeChat account and video of the trial. The judge ordered Samsung Electronics to immediately stop selling or manufacturing products using the technology and to pay a small court fee. The ruling did not cite specific phone models. The decision by the Shenzhen Intermediate Court is the latest in a series of deepening patent disputes between the Asian smartphone makers, which have filed lawsuits against each other in the United States and China in recent years. Huawei Technologies Ltd.'s headquarters is in Shenzhen, in southern China across the border from Hong Kong. The company is the dominant player in China's smartphone market, though globally it trails Samsung and Apple. The court said it ruled in Huawei's favor after finding that Samsung "maliciously delayed negotiations" that began in July 2011 and was "obviously at fault." Samsung said in a statement that it would "thoroughly review the court's decision and determine appropriate responses." 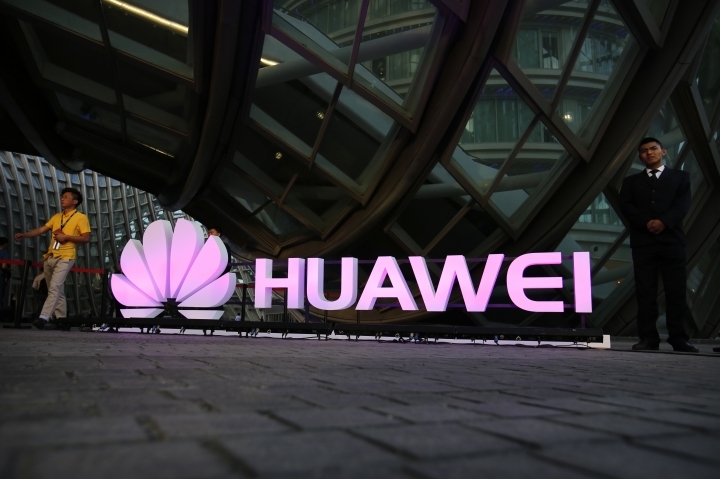 Huawei's legal victory comes days after it was dealt a setback in its efforts to expand sales in the U.S. when, according to media reports, a planned deal to sell handsets phones through AT&T fell through. AP researcher Shanshan Wang in Beijing and business writer Youkyung Lee in Seoul, South Korea, contributed to this report.